Sure, it might be a bit boring to read everything that happens in the ACC as a referendum on Duke (whether Duke is involved or not). Sorry. 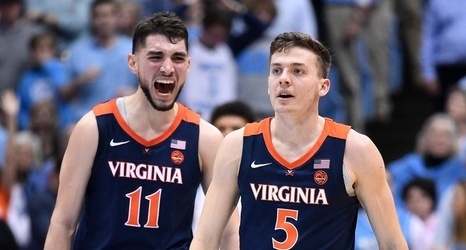 But as Virginia edged out North Carolina with a late-game run in Chapel Hill to seal a 69–61 win on Monday and draw even for second in the conference, the Zion Williamson-shaped shadow of the Blue Devils’ dominance was the subtext. The transitive property doesn’t exactly do this justice, but Virginia is damn tough to beat without putting together a perfect night. North Carolina learned that this time around, unable to seal the deal with a 10–0 second half run of their own, even as their opponents’ offense ran dry on multiple occasions.